Around July 2008 about a dozen trial pieces were produced, and since then a limited number, in a diverse range of colours, were produced until its relaunch as an official main collection on 20 September 2011. The colourways listed below are for this relaunched collection. The perfume bottles had either flower-shaped or curly horn-shaped stoppers. 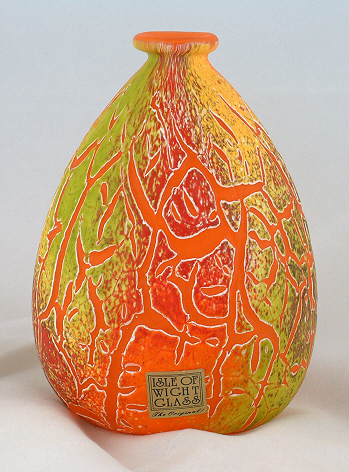 Pear-shaped vase, 9.5 cm tall, 7 cm wide, trial made in 2008. 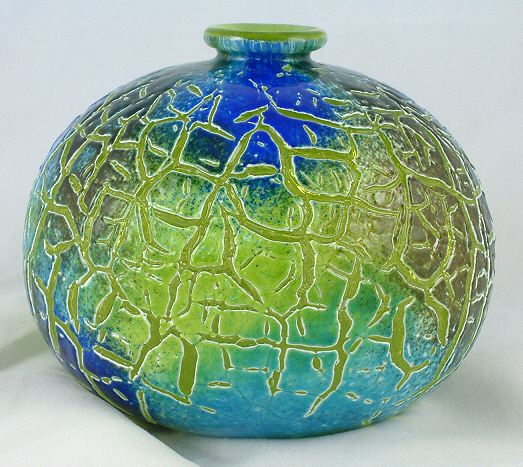 Globe vase, 8 cm high, 10 cm diameter, trial made in 2008. Globe perfume bottle, 7cm in diameter, trial made in 2008. 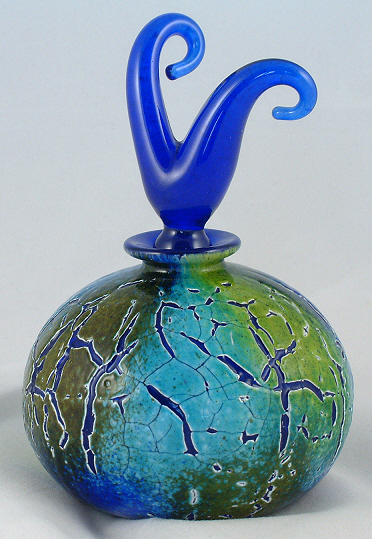 Globe perfume bottle, 10.5 cm in diameter, trial made in 2008. 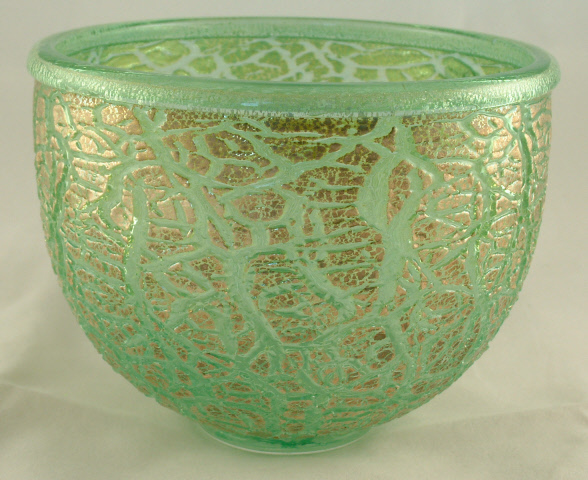 Green Crizzle footed open bowl, 12.5 cm diameter. Made and signed by Timothy Harris in 2010. 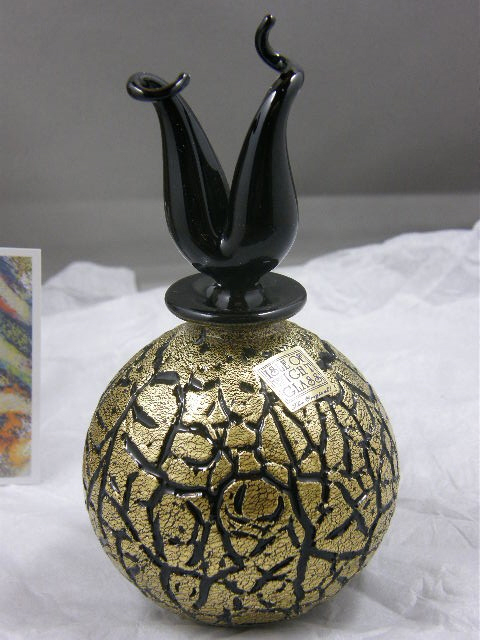 Black/Gold Crizzle globe perfume bottle, 7 cm diameter and 12.85 cm to the top of the stopper. Made late 2011. Image courtesy of www.billtrev.com.